Pitt-Greensburg owes more than $1 million to Pitt-Oakland. The deficit, caused by declining enrollments, means Pitt-Greensburg will encounter many challenges next year and beyond. For Fall 2014, Pitt-Greensburg’s full-time-equivalent enrollment—which is calculated by adding the number of full-time students with a fraction of the part-time students—was 1,517.4. But Oakland has projected Pitt-Greensburg’s ideal enrollment at 1,750 and based the campus’ budget on that number. Pitt-Greensburg is short 232.6 enrollments for 2014-2015, which translates to the large debt to Oakland. While Pitt-Greensburg doesn’t have to come up with the funds immediately, Jamison explained that the debt creates ongoing problems for the campus. One of the main problems with the concept of tuition incentive, Jamison said, is that it creates a shuttlecock of funds between campuses and makes it very hard for the campus to plan ahead. So what does a steadier state mean? According to Dr. Frank Wilson, faculty senate president and assistant professor of sociology and criminal justice, Pitt-Greensburg had been in a steady state up until 2011 as far as enrollment was concerned. 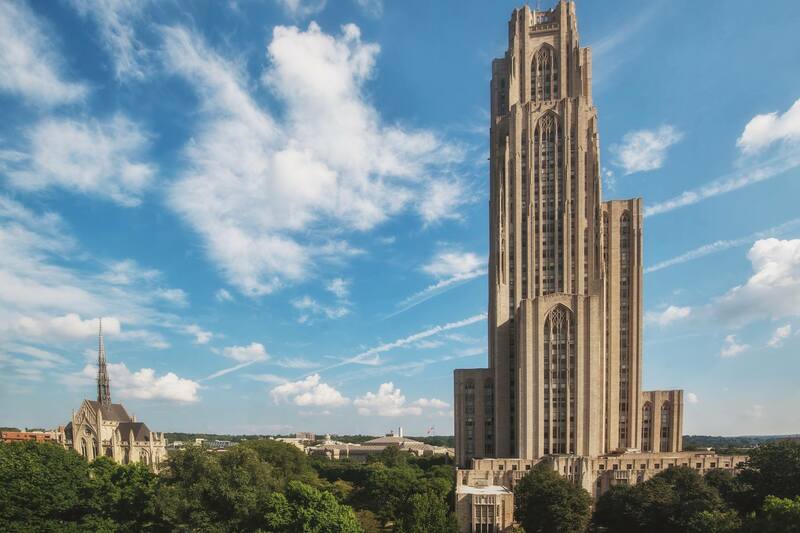 According to “The University of Pittsburgh Fact Books”— which are published yearly online and include information about enrollment numbers, Pitt-Oakland-faculty salaries, and other campus statistics—Pitt-Greensburg’s number of full-time-equivalent students increased every year from 1994-2003. The highpoint of full-time-equivalent enrollment occurred in 2003, with 1,793.8 students. From 2004 to 2011, enrollment remained steady, with an average of 1,712.8 full-time-equivalent students. Then enrollment started its decline, and in Fall 2014 at Pitt-Greensburg, the full-time-equivalent number dropped to 1,517.4. According to Heather Kabala, Pitt-Greensburg’s director of admissions, the campus is feeling the effects of a regional, if not national, trend. To combat the high-school-graduate decline in the area, Pitt-Greensburg has been rolling out a number of new tactics to increase enrollment. With an increased budget, the admissions department has hired vendors, like Royall & Company, to help contact potential students. One of the new initiatives focuses on generating out-of-state applications. Kabala is hopeful that the program will provide 300 additional applicants. “And we’re hoping that will result in about 25 or 35, maybe even more, students [who will enroll here],” she said. That program consists of several paper mailings to potential students, as well as 20-25 emails. It also allows Pitt-Greensburg to waive the application fees for targeted students, as well as waive the usual requirement for students to submit personal essays. For the past three years, Pitt-Greensburg has also conducted “instant decision” days, in which students at the high school have the opportunity to apply and receive an admission decision that day. They also receive scholarship offers if they are eligible. Another program will be dedicated to contacting students who have been accepted to Pitt-Greensburg but have yet to commit. That way, Kabala said, admissions counselors can focus their time and effort on students who are more likely to enroll at Pitt-Greensburg, instead of spending precious hours on students with whom the university doesn’t mesh well. The university has unraveled a couple of hands-on strategies, also. For one, there is a definite push from faculty to be more present in the recruitment process. Chemistry professor Dr. Mathew R. Luderer taught a chemistry class at Franklin Regional, which resulted in visits to the campus by three students. In addition to some of the faculty’s active approach, the admissions department has sent all of its counselors to receive training. The training is there to teach new and different ways of communicating the benefits and values of a Pitt-Greensburg education, focusing on not only in-person conversations but also email and phone interactions. But the pressure is building. The extra money, time, and effort that’s going into this increased-enrollment goal have to yield results. “The consequences could be drastic if we really have to make up the million dollars,” Jamison said. Wilson agreed that the situation could become ominous. Right now, Pitt-Greensburg projects that the number of incoming freshmen for 2015-2016 will be the same as this year, which means more new students may have to come from transfers. But that can create problems, too, Jamison pointed out, since even fringe transfer students aren’t guaranteed to be optioned to a regional campus. Kabala and others worry about how raising enrollment numbers might sacrifice quality. “In order for the Pittsburgh campus to call it a success, (Pitt-Greensburg’s enrollment) needs to reach 1,750,” Kabala said. “I think for us, any growth toward that number is a success. And in a way, I think [Pitt-Oakland administrators] see it that way, but they’re very focused on that 1,750.